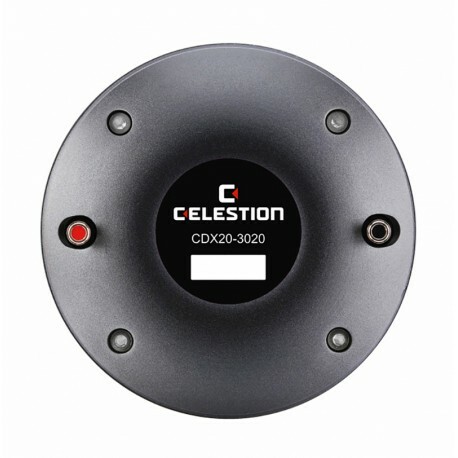 MOTOR CELESTION HF FERRITA CDX20-3020 2" 100W 8 Ohm. 2" exit ferrite magnet compression driver with 3" copper clad aluminium voice coil. 100Wrms (AES standard) power handling and 107dB sensitivity. Next generation Sound Castle™ soft clamping assembly reduces diaphragm stress for decreased distortion and even greater reliability of performance. Single piece titanium diaphragm and surround.